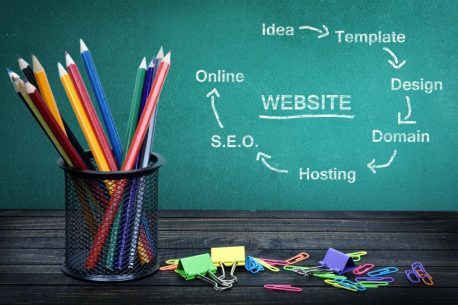 More than website design alone, website development is the process of taking an idea from scratch, developing that idea, and turning it into a highly functional website that achieves a business’ goals. 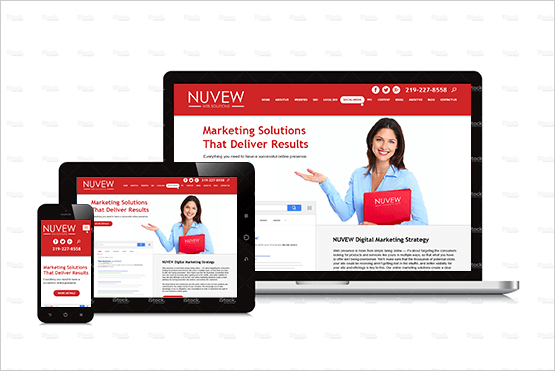 At NUVEW, we strive to create ideas that perform, and can help your business take its online presence to the next level. One of the key aspects of website development in today’s day and age is not just to have a website, but to have a website that can be accessed on numerous different devices. In fact, the smartphone has replaced the computer as the most popular way to browse the internet, which means that having a responsive design – i.e. a website that will adapt to any sized screen automatically – is key to connecting with customers. If you are building your website from the ground up, we can make sure that it is responsive and displays equally as brilliantly regardless of from where it is accessed. For some businesses, having an ecommerce platform – where you sell goods and products online in addition to, or in place of, a physical store – is important. At NUVEW, we can help to design and build your ecommerce platform so that customers can easily find a product, add it to their shopping cart, choose their shipping and billing options, and make a purchase without any hiccups along the way. We want to make sure that your website achieves your marketing goals, whatever those may be. This means that it is not enough just to get customers to your site; we want to make sure that once they are one your site, they interact with it. Interaction may be reading a blog, sharing your website on social media, filling out a contact card, or actually making a sale. Whatever it is, we know how to design and develop websites to reach a targeted audience and garner the results you are looking for. Finally, a website should be creative, quality, and attractive to users. We take pride in our ability to develop unique websites that draw users in and focus on an enhanced user experience. Each site that we create is done so with the intent to stand out and get noticed – we will never use a cookie-cutter template for your business; instead we design from scratch based on your needs and style. With dozens of marketing and website development companies to choose from, you may be wondering what makes us unique. First, we are a local company that specializes in working with local businesses. We believe in helping small business in our community reach more customers, so that the community as a whole flourishes. Further, we take a one-of-a kind approach to our partnership with clients, providing custom solutions and custom designed when it comes to website development and marketing. We offer flexible pricing options to help you stay within your budget while also getting the results that you are looking for. And, we do it all; once your website is designed and developed, we can focus on content creation, SEO, PPC, social media marketing, and more. If you are ready to learn more about our website development professionals can help you develop a stand-out website, please do not hesitate to contact us today. You can contact us directly by giving us a call at 219-323-3343, or by filling out our online contact form for a free quote.